Devoted Skeptic Copyright ©2012 All Rights Reserved. Powered by Blogger. 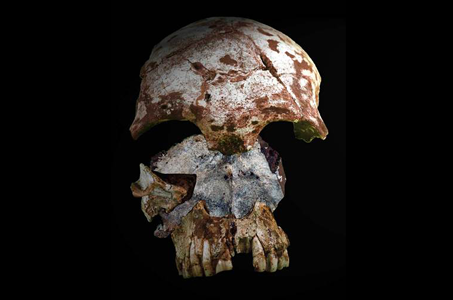 Skull Found in the "Cave of the Monkeys"
The Good, The Bad, and, The Ugly! Space Stations appear everything from science-fiction dreams of extra-planetary life in space to research in low earth orbit. For many in the public, their first experience with any sort of space station began with the iconic pinwheel style station used in the film 2001: A Space Odyssey. Gracefully floating through space while spinning it was majestic and in 1968 when the film was released, we may have been heading toward a future with space way-station and we may be on our way there again with a new proposal by NASA to put a station on the far side of the moon at Lagrange point 2. In this post I want to talk mostly about early space station history and interesting facts pertaining to space station history. 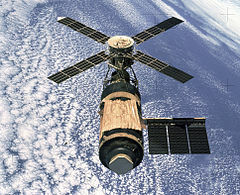 The first US space station was Skylab. Launched in 1973, Skylab orbited from 1973 till 1979 when, entering the atmosphere Skylab burned up and parts of the station were spread South-East of Perth, Australia. 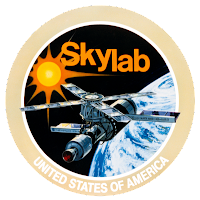 Interestingly Skylab almost did not come into fruition. 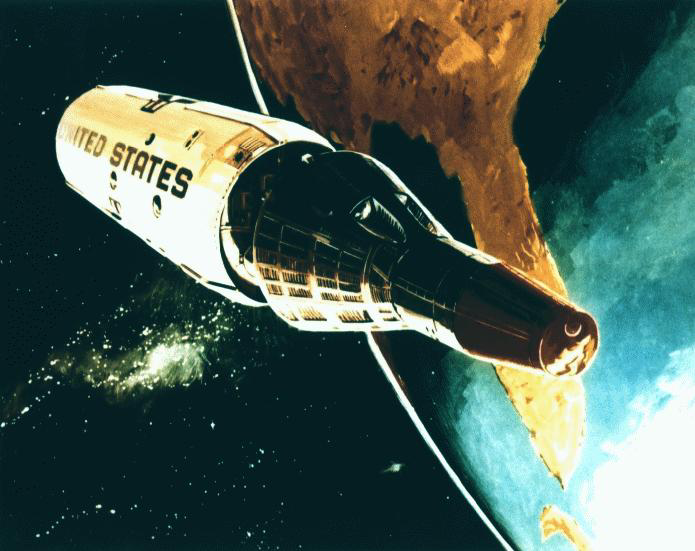 The Air force was working on a Manned orbiting Laboratory(MOL) that would have been used for a variety of different experiments but mainly for reconnaissance utilizing large optical cameras as well as side scanning radar. Eventually the Air Force decided that unmanned spy satellites were more cost effective for spying and MOL was scrapped. Skylab orbited for 2,249 days but was only occupied for 171 during 3 manned space flights to the station. During manned occupation of Skylab astronauts were able to confirm the existence of coronal holes in the Sun and collect data on the effects of microgravity on humans. In 1974 NASA had planned to mothball Skylab but performed 2 studies detailing the reuse-ability of the station. An early shuttle mission would have boosted Skylab to a higher orbit extending its life by another 5 years and subsequent shuttle flights would upgrade and retrofit Skylab for a variety of experiments. In 1979 greater than expected solar activity heated the outer layers of the Earth's atmosphere increasing drag on the orbiting station and in turn brought about its demise faster than initially expected. 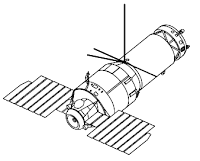 Because of the perceived threat to the Soviet Union that the MOL presented the Soviet Space program responded by developing and launching three space stations. The Almaz program that launched the three stations designated them as civilian Salyut Space Stations as a cover for their real military purpose. Salyut 2, the first to be launched, failed 13 days into its mission. Three days after launch the third stage of the delivery vehicle exploded causing debris to collide and sever a fuel line. Salyut 2 entered the atmosphere on May 28, 1973. Second of the three Soviet spy stations to launch was also the first (from my research) to test a firearm in space. Little is known about this mission but reports of test firing a "Self Defense" gun at 500 and 3000 meters occurred. On January 24, 1975 the station was deorbited over the Pacific Ocean. The final of the three Salyut stations was launched on June 22, 1977 and used actively for reconnaissance but also several experiments were carried out. Crystals were grown in space and an aquarium where fish were studied in a microgravity environment were also on board. Additionally cosmonauts had a televised conference with school students while in space. On the first mission the cosmonauts left earlier than planned because the air became contaminated causing physical and psychological problems for the crew. Salyut 5 was deorbited on August 8, 1977. I wrote this article because it interested me, and I were interested you may also be interested. I didn't know that there was a manned space reconnaissance program until I began reading about Skylab's history, and had never really considered it. With spy satellites I had assumed there had been no manned reconnaissance initiative but I see the logic behind the programs and the reason for their ultimate demise. There is certainly more space station talk to be had and I plan to cover the proposed new station to be positioned Lagrange 2 and the ISS but that is for a future article. Please feel free to comment any facts or information you may have regarding space stations below. Curiosity left Earth's atmosphere on November 26th, 2011 traveling toward her new home, Mars. Much like Valentine Michael Smith she has become a stranger in a strange land.  With the foreign landscape before Curiosity, approximately one third of Earth's gravity, and an extremely thin atmosphere, I expect the sight of a thin crescent in the sky would be a faint reminder of home. Curiosity cannot suffer any of the organic issues we as humans may, when we visit our planet's smaller, red sister. Curiosity won't get homesick, or miss relatives. She won't yearn for the fall sun setting over a valley painted red and yellow by autumn. Curiosity will not miss the fish swimming in streams or the cool mountain air. And although I have anthropomorphised Curiosity by referring to it as "her", I have done this consciously as sailors would refer to their ships. Sailors would speak kindly and gently to their ships and they hoped that their vessel would return the favor. We are all sailors riding through the fabric of time and space. On this ship you choose the level of your participation. You can choose to ignore the greatness of what we have accomplished and will continue to accomplish. You can choose to complain about the expenses involved in space exploration and travel, remaining ignorant you use technology directly derived from the space program on a daily basis. Or, and this is a big or, you may be one of the few who have the opportunity to enter space, you may be even one of the very, very, few who will set foot upon another extra terrestrial body within the next decade. Or like myself you may only visit these places through your internet connection and your mind, and maybe a telescope, but this is a journey we can all take together. 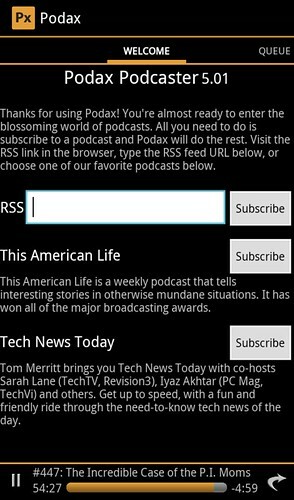 Google recently announced that they would be discontinuing their Android podcast application Google Listen. I know that there were a lot of people who didn't like the interface and preferred a paid application and I can understand their position. 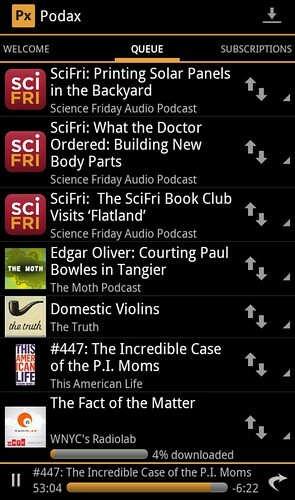 It wasn't a very pretty interface and adding new podcasts was often difficult and you had to find the correct RSS feed and hope that it would pick them up properly. However managing Google listen with Google reader simplified things and because both were so closely integrated it made subscribing much easier from the reader web interface than it ever was from the application. However once you had gotten your podcast subscriptions sorted out, it was very basic, it would update the podcasts subscriptions and you would listen to them. If you want to delete a podcast, you delete it. Very simple and very easy to use. But, because listen was yanked from the play store I decided to find replacement app that was free. Normally I have been able to find free apps for nearly anything I might want to do. I may have to put up with ads, or a banner, or some sort of pop-ups but free none the less. Now that is not to say that I am against paid apps. I have purchased a few dozen apps over the years but I generally always look for a free app before I go down the purchase rout. And now we get to Podax...which was not my first choice in fact it wasn't my 8th choice, I believe that this was my ninth choice (ok so we don't yet get to podax). I looked at Beyond pod ($6.99 Paid) which had good reviews and looked like it was a pretty solid app but then i found out that I would need to refresh each of my feeds individually, pro does this for you, and not wanting to refresh the 35 or so podcast I subscribe to, I moved on. Next up My Pod ($3.86 paid) which looked good but then I found out it would only sync 10 feeds in the free version which would not work at all for me. 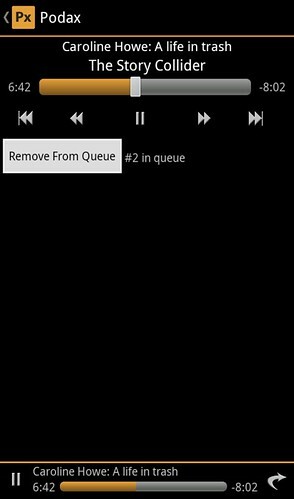 I also tried Double Twist which looked really cool and as a media file player it seemed to work quite well. I even installed the desktop program and was able to manage music on my phone but if I wanted to do this wirelessly I would need to pay for that option (winamp does this for free) I could subscribe to podcasts but could not import my Google Reader subscriptions, not to say that it can't be done(there are instructions on their site that did not help me at all), however I suspect this is a paid feature and if it isn't it is not very intuitive. Finally I happened upon Podax. It did import my Google Reader subscriptions immediately but then things slowed down. When refreshing podcasts the app grinds to an apparent slow halt...however it is working in the background,really it is...wait for it...I assure you, it might be working. It may look like it has locked up your phone, it may actually have locked the phone, but it is probably working in the background. Once all of my podcasts had been refreshed Podax then proceeded to download the fresh episodes from my discription. Once the initial refresh was completed the download went fine and using the app was not enjoyable, but also, not a bad experience either. I did try refreshing the podcasts again and noticed the same performance issues. The best way to work this is to allow the app to run the podcast update and let it go. Once it is done the interface is still a bit clunky but it is functional and I nearly always go for form over function. I rated the app three out of five stars because although it works, it doesn't work well and is glitchy. However once you get past the glitches and are able to use the app, it does work and it works fairly well. The app is functional, it works, it is not pretty. It does have glitches but it is free and ad free. I give it a reserved recommendation as the app is maintained and hopefully gets better. So far it is the best free podcast app i've come across however I would be happy to try any other apps you may suggest, please suggest below in the comments. To OV-105 Endeavour: Farewell Old Friend. For an old friend, she was the youngest in the fleet. Challenger, Discovery, Atlantis, Columbia, Enterprise and, of course, Endeavour, they were their own type of beautiful. Originally the shuttle program was a glorified space trucking system. Taking supplies and experiments to and from the International Space Station. After the first few initial space flights, everything began to seem ordinary. The shuttle would travel to space, perform it's mission and then glide back through the atmosphere. Catch a ride back to the Kennedy Space Center and repeat. "Slipped the surly bonds of earth to touch the face of god." I remember my elementary school teacher telling our class that she has applied for NASA's teacher in space program, the one which Christa McAuliffe got into, and died riding Challenger. I remember that day in 1986, we watched the Challenger launch in class because it carried, a teacher. I had watched many shuttle launches with my father, I knew something was wrong, 72 seconds after lift off when she began to break up it wasn't the boosters separating it was something else. I remember in my class our teacher didn't know what to say to twenty 3rd graders who just watched 7 astronauts die. I didn't think this goodbye would be that difficult to write but it was very sad, and still brings a tear to my eye. I participated when NASA later sponsored a naming campaign for the next shuttle that was just called "the orbiter" by the news outlets. We were instructed to find and research an old sailing vessel that contributed in some way to exploration. Always having loved pirates, especially Black Beard, I wrote an essay asking NASA to name the new orbiter the Queen Anne's Revenge, I still think that would have been really cool. Endeavour, named after the HMS Endeavour gained a fitting name. the HMS Endeavour rounded cape horn and explored Australia. She was commanded by Lieutenant James Cook (later Captain Cook) and she observed the 1769 transit of Venus. But I still like the Queen Anne's Revenge. 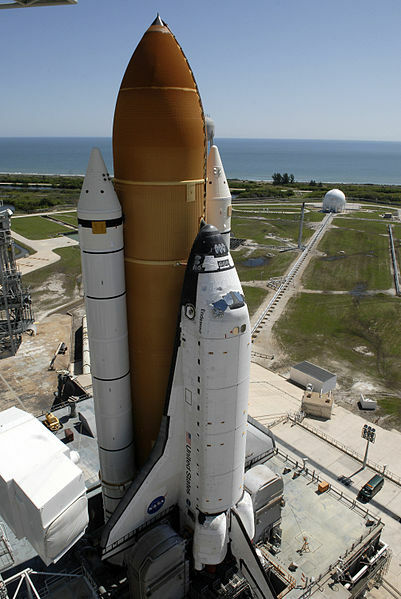 The unfortunate result of the closing of the shuttle program is that NASA now does not have a manned space transport. And what is truly sad about this, is due to massive budget cuts for the past 31 years NASA's manned flight program consisted only of low earth orbit flights. Not to take any glory from a program that has yielded so many achievements. Achievements which have allowed us to learn so much. And still with continuing budget cuts and the federal government's inability to act in the interest of our future, we still have not put a man on Mars, and we have not returned to the Moon. 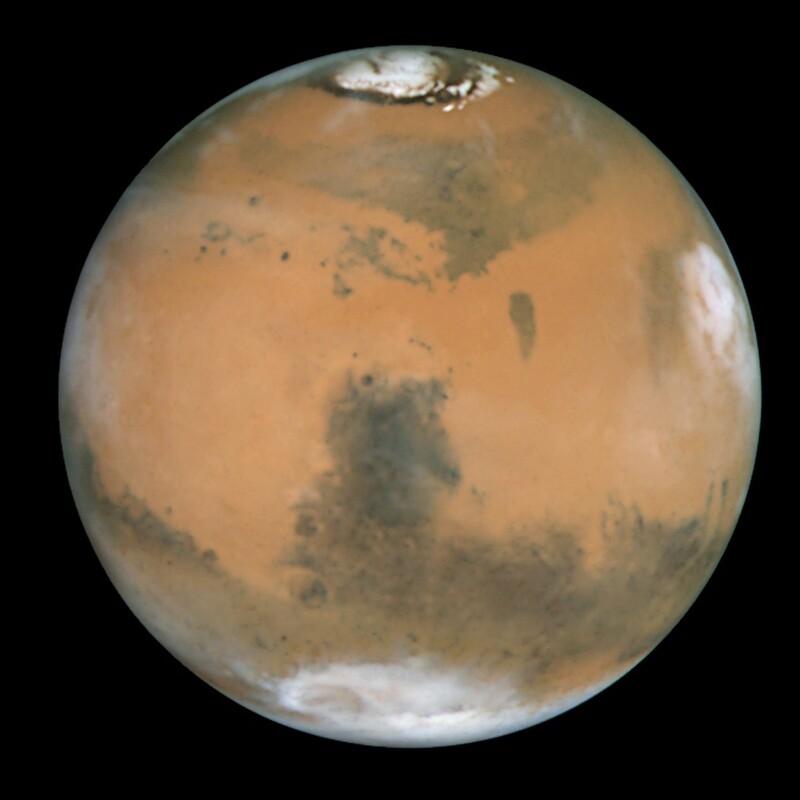 "It shouldn't be humans to Mars in 50 years. It should be humans to Mars in 10"
And then after that, lets land on Titan or an asteroid. Lets discover if there is life under the icy surface of Europa. My great hope is that with the last flight of Endeavour, and so many people watching the skies, so many tweets and so many instagram photos. So many facebook posts and so many news reporters covering the shuttle's last chapter. My hope is that we do not lose the excitement we felt watching OV-105 taking her final flight. We must go on we must enter deep space and we must succeed. Sir Richard Branson recently announced that he is "determined" to establish a human population on Mars. 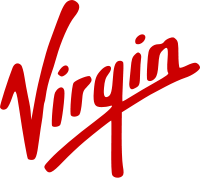 Branson is well known for his virgin brand record stores, phone service, Virgin airways and of course Virgin Galactic an upcoming space tourism venture. Branson is also known for his relaxed yet driven style, and although I would prefer to see NASA or the ESA (but really NASA) establish the first Mars settlement, if we can see an increase in our technological knowledge or capabilities due to Branson's Mars endeavors it would be better than no advancement at all. At a point in history where NASA's budget is shrinking steadily, an investment by the private sector is better than no investment. However what private sector companies develop, they own. They do not have to share their technology, and they can charge whatever price they wish. When the public sector (NASA, ESA, National Science Foundation, etc) develop a technology it is available freely to the public to be built upon. New companies and in some cases whole new industries are created. Science and scientists who traditionally had worked in the public sphere were able to share and build on ideas working cooperatively and arriving at solutions faster than they would be able to alone. Private entities wish to keep information secret, or wish to patent it to protect their investment. This in and of itself is not evil or wrong, obviously who wouldn't want to protect their investment, but generally this can slow down formation of new theories and technologies. 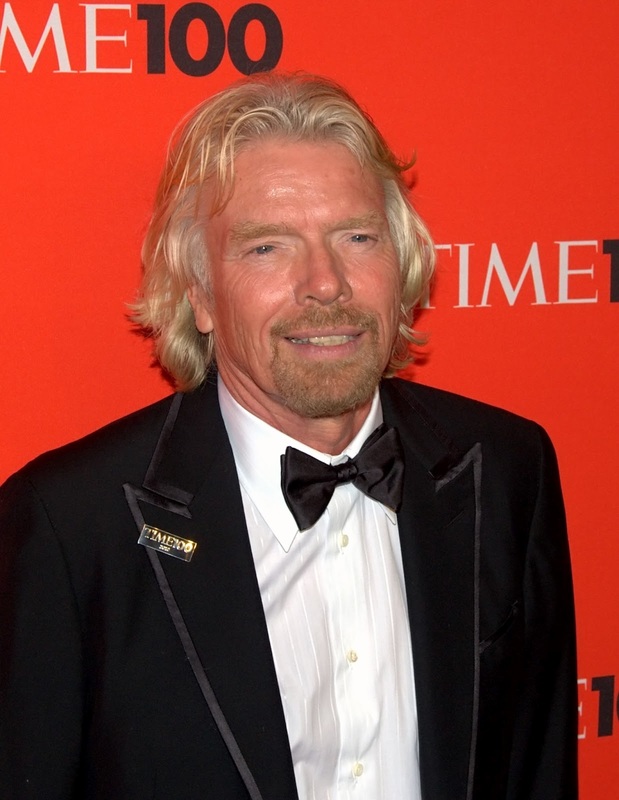 So, Sir Richard Branson, Good luck! I hope you are able to open a luxury resort on Mars, I just hope Penny4NASA and citizen support for our public space program allows NASA to beat you there. This is how Curiosity Rolls! 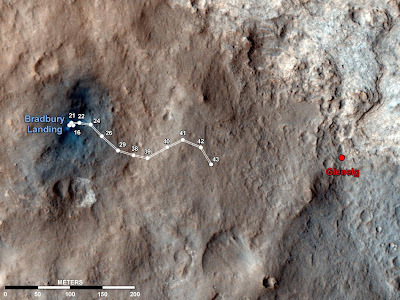 The above map shows the progress Curiosity has made from sol 0, (August 6, 2012) through today Sol 43 (September 19th, 2012). 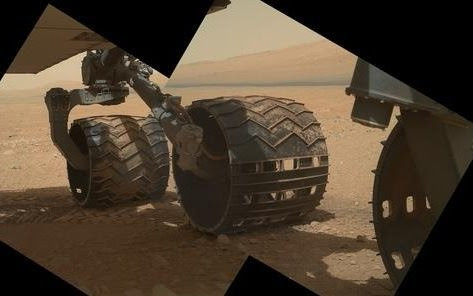 Depicted above is the trek Curiosity has made after setting down at Bradbury Landing. The trek follows an eastward path toward the Glenelg area. Glenelg, Mars (or Glenelg Intrigue) is located near Gale Crater and is a natural meeting point for three types of terrain which Curiosity will examine, one of which is layered bedrock which will feel the bite of Curiosities drill. The name Glenelg came from a geological point of interest near Yellowknife, Canada. Other named geological features in the area derive their names from the Yellowknife area. The name is also a palindrome which is dovetails nicely with Curiosity's intended path which is programmed to pass Glenelg twice. 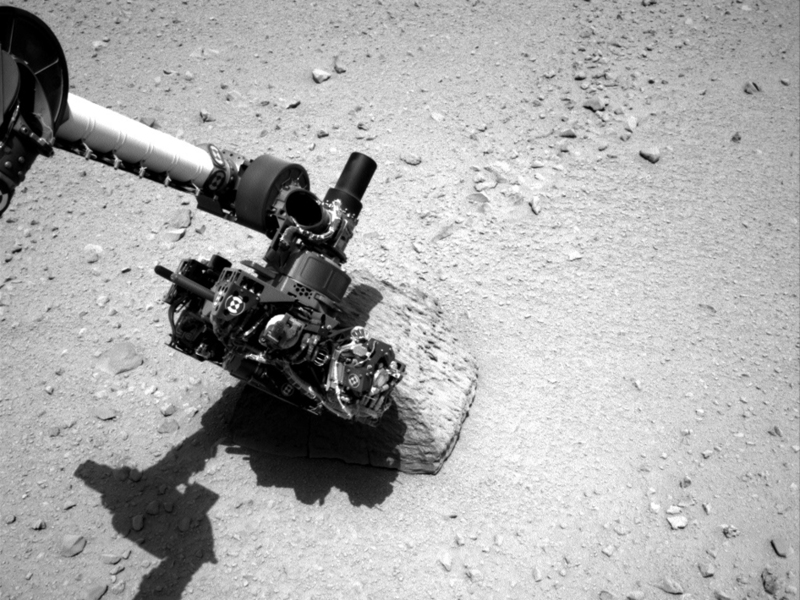 Currently Curiosity has 290 Meters on it's odometer, and hopefully many more klicks to go! Recently, news reports have indicated that Japan will be discontinuing their Nuclear power programs, this is not only startling but disheartening. As more and more coal burning plants are constructed CO2 gas emissions continue to rise and continue to increase the temperature of our global climate. 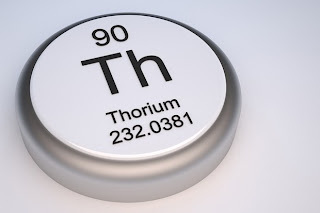 I know many will cite the fact that fissile waste material is dangerous and expensive to store and arguably worse pollutant than CO2, and that is a fair assessment, this is where Thorium comes in. 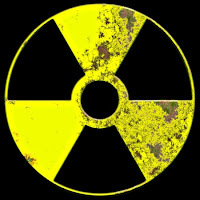 Before I make my case for Thorium I want to go over the some of the history of nuclear power and some of the reasons why it was relatively unsafe and why Thorium is safe and necessary if our species is to last on this planet with real quality of life in the future. Part of the reason so many nuclear reactors were built in the 60s and 70s was to gain plutonium which in turn was used in nuclear weapons in the escalating arms race against the USSR. Hundreds of water cooled fission reactors were built all over the world. 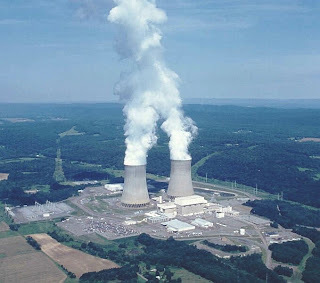 Water cooled reactors were much more popular and can easily been observed with the large cooling towers and large containment structures around the reactor itself. In order to efficiently turn the turbines water is super-heated under pressure, if pressure were to be lost the liquid would flash into steam, a volume differential of over 1500 to 1. If the containment structure is too small, or if there is a leak, then water bearing radioactive material would enter the atmosphere. Now not all is doom and gloom, even with our current nuclear technology, watt for watt nuclear power is the safest energy source currently in use claiming fewer lives per watt than any other power source. Thorium has actually been used as a fuel for many years and there were several reactors built in the United States that operated without a significant accident. There are several reactors currently using Thorium as a fuel supply, for example the Indian 3-Stage Program. Thorium is the 39th most common element in the earth's crust making it readily available the however for Thorium to become fissile it must first be transmuted to Uranium 233. With current fission reactors this is possible and as with India's 3 stage process the first two stages are utilized to create the thorium fuel used in the final stage. The Thorium molten salt reactor design was championed by Dr. Alvin Weinberg of Oak Ridge National Laboratory. Originally designed for use in long range aircraft and known as the "chemist's reactor" Oak Ridge studied and experimented with the Molten Salt Thorium Reactor for many years until 1973 when Dr. Weinberg was fired by the Nixon administration. Dr. Weinberg was fired because he wished to continue pursue Thorium and Molten Salt research but the administration wished to research the riskier Liquid Metal Fast Breeder Reactors. After Dr. Wineberg's departure from Oak Ridge Thorium research in the US waned. Interest in Molten Salt Reactors powered by Thorium fuel has recently increased due in large part to the efforts of Kirk Sorensen who came upon the idea while attempting to design a power source for the Moon. He found that there is a great amount of Thorium on the Moon and although there is no atmosphere allowing solar energy to work well there is a two week night while the Moon orbits the Earth making solar energy much less effective due to current battery storage technology. While researching methods of nuclear power generation he found a book dealing with Thorium reactors from the early days of Nuclear Power. We worry about nuclear meltdowns, or environmental issues causing problems with nuclear plants (fukushima in japan for example) or spent fuel disposal issues. Although the odds of another Chernobyl or 3-mile island occurring are very small there is a possibility with ageing infrastructure and cost cutting. If a water cooled nuclear reactor loses the ability to circulate it's coolant it can melt down or breach, if a Thorium powered Molten Salt Reactor loses the ability to circulate the Molten Salt coolant a salt plug at the bottom of the reactor will melt and the liquid will drop into a small containment system below the reactor. Because Molten Salt will not boil and does not require expansion if there is a loss of pressure. Japan has publicly stated that they are going to be steering away from nuclear power but are considering Thorium as an answer. Tech: Screenshot? no i said Greenshot!